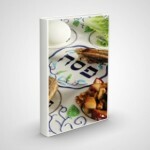 OLAMI Resources / Featured Posts / GUEST POST: How TorahSkills.org Can Revolutionize Jewish Education! GUEST POST: How TorahSkills.org Can Revolutionize Jewish Education! Rabbi Tzvi Daum is the founder of Torahskills.org, a website dedicated to providing online solutions and curricular content for Jewish Education. Rabbi Daum teaches in grades 4-8 at the Jewish Foundation School in Staten Island, NY. In conjunction with his studies at Ner LeElef’s Maase Chiya program, Tzvi received his BA from Thomas Edison State College and then went on to get a Master’s in Education with a specialty in Curriculum Development and Education Technology at California State University at Bakersfield. Rabbi Daum received the Grinspoon Steinhardt Award for Excellence in Jewish Education in 2007 in recognition of his online work for Jewish education. You can follow Rabbi Daum on Twitter where he uses the handle @torahskills. 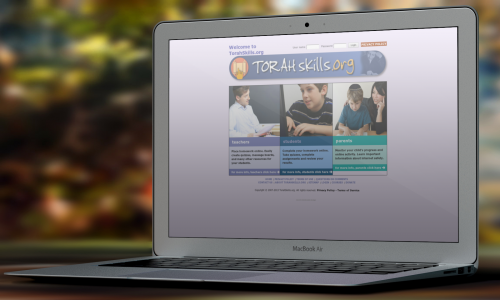 Torahskills.org was created to help solve a problem many students and educators face, namely that students in modern Orthodox or kiruv schools often do not have anyone at home who can help them review, prepare or do homework with them for their Judaic Studies classes. I became aware of this problem firsthand with my own students when (after graduating from Ner LeElef’s Maase Chiya program) I began teaching in a modern Orthodox school which estimates that approximately half the parents are not shomer Shabbat. Many of my students have parents who can’t even read Hebrew. One cannot just tell students, “Go review your Chumash!” Whom do they turn to when they need help? The solution to this problem has been to put everything online. Imagine an online school where every class gets their own course page filled with resources and activities that students can access on their own and complete at their own pace. Thus, for example, my Navi students get homework every night online where they have access to audio files, translation sheets, weblinks and interactive quizzes which immediately grade their answers and give them feedback as to whether they were right or wrong. Homework itself becomes a true learning experience and the teacher doesn’t have to spend valuable class time checking homework. Here is an exclusive link to a sample Navi course that I will share with the NLEResources.com readership. Teachers can build on this by having students participate in discussion forums or having them upload their own creative content. Thus far, the feedback has been quite positive. However, it will be a while before a whole library of digital course content will be developed. It is also worth mentioning that I have been working on creating Chumash workbooks for Parshiot Shemot through Bo which has been garnishing great initial feedback in pilot programs in day schools. I hope to have them ready for publication this coming summer. Eventually, the goal is to have themcomplement the online learning experience as well. It is thanks to Ner LeElef that I got my start in Jewish Education and I will forever be thankful!